If your definition of the perfect vacation is to be able to relax in one of the most beautiful locations that exist anywhere in the world, when you first step onto the Beach at Mauritius Island you will instantly know that it is exactly where you want to be! 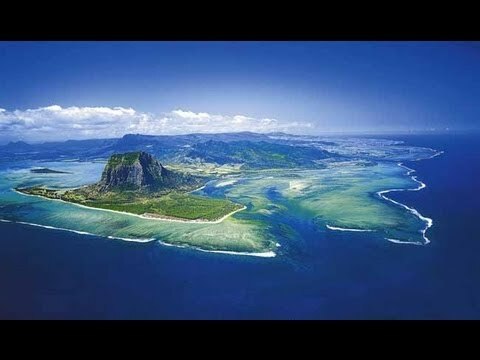 Mauritius Island – Stunning Beaches. The only catch is that Mauritius does not have “a” beach, it has dozens of them! The only problem you may encounter during your Mauritius vacation is deciding whether you want your stay to be in one location, or whether you would rather explore all of these beaches on the island! From natural, to modern, rustic or luxurious - find your dream hotel on Mauritius. There is no better focus for a vacation than the beach. In the tropical climate of Mauritius, each day at the beach will be filled with hours and hours of warm relaxation, soaking up the sun there is simply no other kind of vacation that could adequately compare to a beach vacation on Mauritius! The beaches of Mauritius have the warmest, most sparkling white sand that you will ever see! From the sand, you will revel in the beauty of the vast ocean in front of you, its warm, crystal-clear waters absolutely perfect for a swim, exceptional photography, as well as taking it all in as one of the most spectacular sights that you could ever see. Mauritius getaways – Sunset at Club Med. Mauritius island is situated in the Indian Ocean, it should not come as a surprise that Mauritius contains some of the most beautiful beaches in the entire world! It should also not come as a surprise that each is unique in its own way, and each has much to offer. You can easily design your own individualized vacation package around the amazing beaches of Mauritius. When you choose a vacation on Mauritius, you will see that these beaches are located all around the island itself; and you will also have the option of taking a boat to the Ile aux Cerfs, a small island off of Mauritius’s east coast which has beautiful blue lagoons and beaches of its very own. Whether you want to spend your entire trip at one beach, or visit every single beach that Mauritius island has to offer, you can be sure that every moment you are at the beach will be permanently etched into your memory as the most enjoyable beach vacation that you have ever experienced. Top 10 island getaways – Mauritius, who can beat these sunsets? If you love water sports you will love Mauritius island. Considering that Mauritius is an island, you have probably already correctly assumed that it has much to offer in terms of water sports. However, you may not be aware of exactly how extensive water sports are on Mauritius – the nearly limitless variety that will be open to you during your Mauritius vacation. Regardless of how long your vacation is to be, your time can be delightfully filled with sport after sport, or you can choose the ones that you like the most. Either way, you will be thrilled with every minute that you decide to put into these great activities. If boating is your passion, you can indulge it here on Mauritius. There are a number of boating options available, so you can pick whichever suits you, or you can try them all. If you would prefer to venture out on your own dinghy sailing or motor boating. If you elect to rent a motor boat with a trained guide, you can venture out to the incomparable beauty of the east coast’s lagoon. You can also charter a yacht for your own personal pleasure, or a day-long chartered catamaran which includes cocktail parties and lunch. Our tips: Fun Adventure Mauritius Ltd. (La Balise, Riviere Noire). Have fun with the “sea karts” 110 horse power little jet boats. Boats are all brand new, and the whole team is very professional. If that is too fast, Dreamcatcher Catamaran Tours (Mocellmont Anna 251, Cap Malheureux) offer unique catamaran tours, BBQ and cool drinks are included. Exclusive island getaways? Mauritius, blessed with fabulous beaches. Kitesurfing and kiteboarding are amongst the thrilling water sports you can participate in during your Mauritius vacation. If you wish to make this part of your vacation a learning experience, you can take part in one of Mauritius’s kitesurfing schools where you can quickly learn to be a skilled kitesurfer. Our tip on Mauritius island: Le Morne Kite School (Kite Lagoon, Le Morne, Le Morne) they offer kite surfing for all level’s. Regular surfing is one of the most popular sports on Mauritius. Le Morne and Tamarin Bay, known worldwide as legendary surfing spots, are conveniently located on Mauritius so that you too can take part in one of the world’s most exciting sports. Whether surfing is an everyday part of your lifestyle, or if you have never even tried it at all, you are certain to love these surf spots. In addition to being one of the most thrilling water sports that exists, it will also make for some of the greatest photography you will acquire during your vacation. Windsurfing and water skiing are also much-loved activities on Mauritius. If you possess the daring to go out into the ocean and enjoy a good challenge in doing so, you will find both of these sports to be a delightful experience. If you want to try a bit of exploration, snorkeling and diving are activities you will enjoy. You will find all of the necessary equipment, plus assistance if you need it, in locations all around the Mauritius coast. Enjoying the ocean is good; but getting down into it is even better! Secret island getaways – Mauritius gorgeous coral reefs. Divers’ Ocean (Route Cotiere, Trou aux Biches), the waters around Troux are calm, clear and full of diversified sea life. The dive masters are very experienced and make you feel comfortable at all times. If excitement and adventure are high on your list of priorities, going on a sea-kayaking excursion will more than meet your expectations. The offered trips range from narrow waterways to shallow lagoons to the much more difficult open sea routes. Logically, inner waterways are easier and safer, whereas kayaking directly out into the Indian Ocean will present more of a challenge and is quite appropriate for visitors who have a great thirst for daring and adventure. Sea-kayaking will surely be the experience of a lifetime, but keep in mind is that the sea-kayaking is limited to visitors over the age of twelve, and that the specific locations range in degree of difficulty. All you will need is your favorite colorful beach wear and a cold drink, and you can be assured that your vacation on Mauritius really does mean that life is a beach!